This patient had an acoustic neuroma resected on the right side 30 years ago. 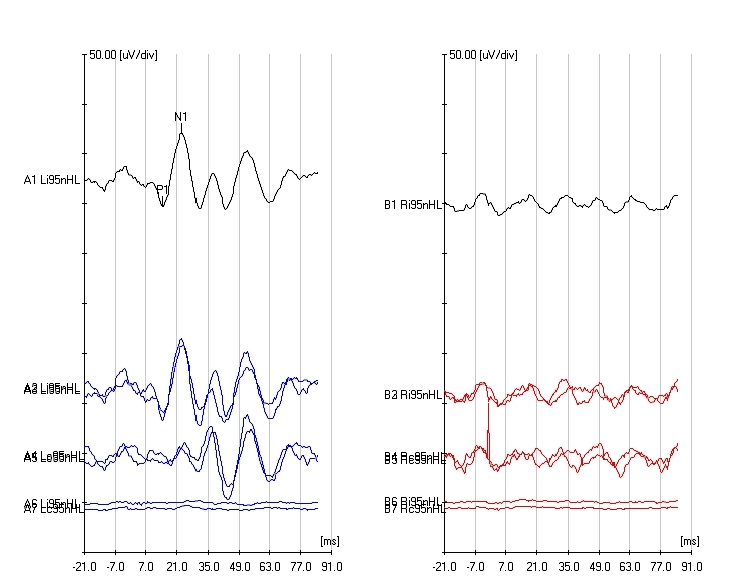 They show findings typical of complete unilateral vestibular loss, accompanied by unilateral deafness. CDP -- normal for age. This patient is very instructive. 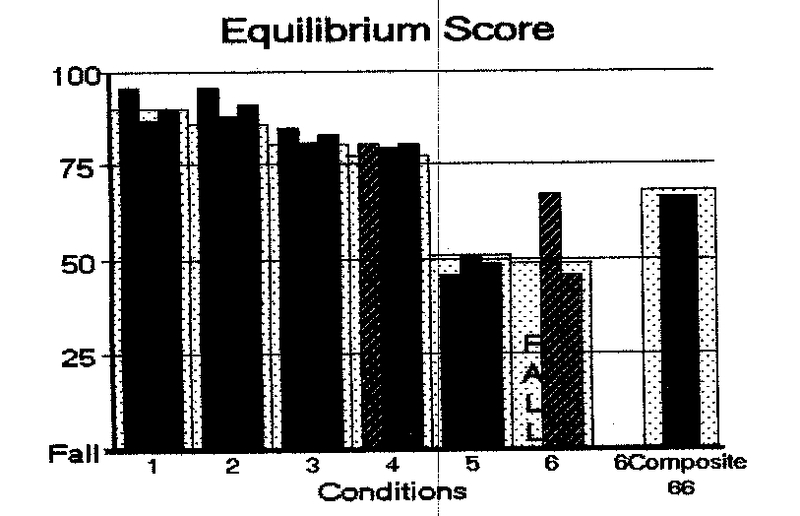 Caloric testing, vibration testing are very sensitive to unilateral loss. HSN is erratic. Rotatory chair testing just barely picks up unilateral loss. CDP testing can be close to normal in a person with bilateral loss. 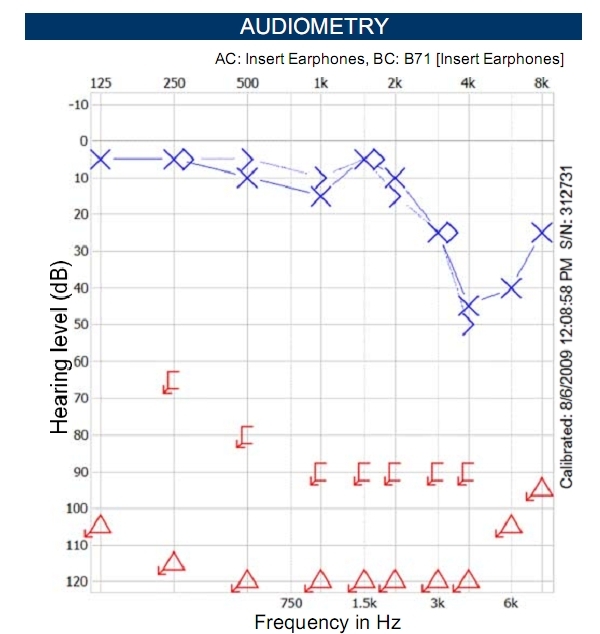 Complete deafness on the right side. Complete vestibular loss on the right side. Absent VEMP on the right side (notice the large crossed response on the left though). 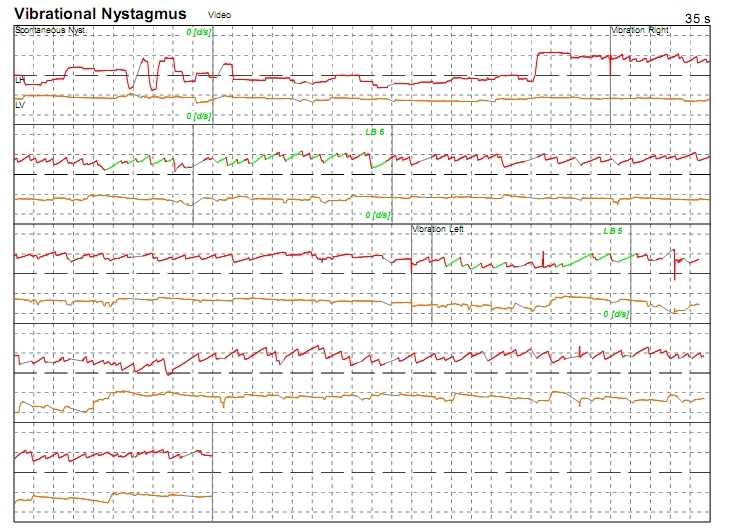 Nearly normal CDP, in spite of complete vestibular loss on the right side. 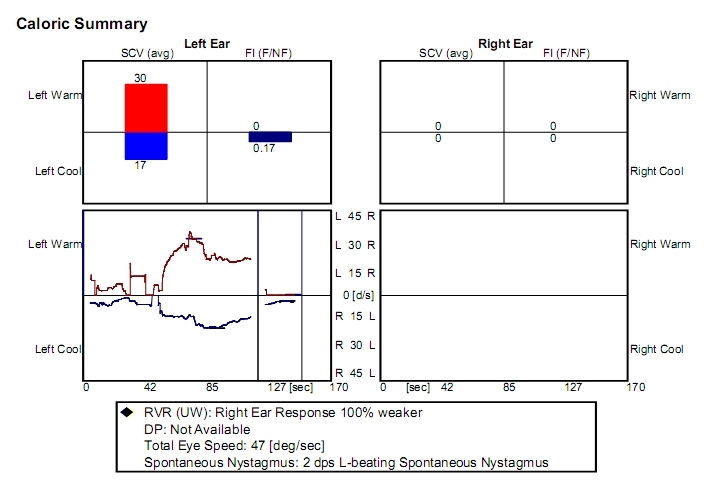 No head-shaking nystagmus is seen in spite of complete vestibular loss. 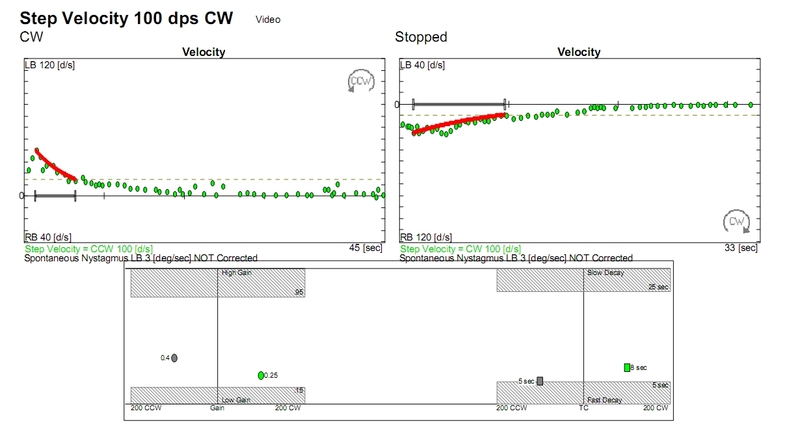 Step responses suggesting no remaining velocity storage (consistent with sinusoidal testing).